Granted, but Magolor steals the Star Rod instead. I wish that Miasmoros was not so gross. Granted. You turned into clay and are now being burned into a solid sculpture. I wish that this wish will be granted exactly. Granted. A Barbar appears and eats you. I wish that Marx was not so evil. Granted, but he shoots fireballs at you as a result of laughing too hard. I wish Meta Knight did not wear a mask. Granted, but now there are constantly crazed fangirls surrounding him everywhere. I wish for some pocky. Granted, but it is really torn up and has huge stains on it. 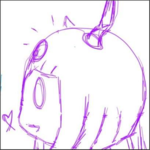 I wish for Taranza to be happy. Granted, but you're wishing for everything unattainable. I wish for less heat where I am. Granted, but you get really cold weather instead. I wish for actual watermelon-flavored bread. </3 lik if u cry eveyrtim-- I mean... Granted, but it has raisins in it. I wish for the ability to eat an entire watermelon in under a minute. Granted. Your esophagus ruptured a few minutes later. 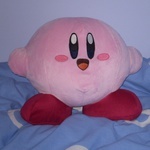 I wish Kirby had four hands. Granted, but then he gains two extra feet and essentially becomes an arachnid as a result (Taranby?). I wish that Haltmann and Taranza did not have such sad backstories. Granted, but then Triple Deluxe and Planet Robobot never happen. I wish Haltmann remembered Susie. Granted, but it has the habit of coming to life at the most random times and causing a scene. I wish for a wish idea. Granted, but your idea is to wish for Heavy Lobster to throw a rather dangerous dance party with large robots. I wish that Magolor and Marx would stop pranking me.